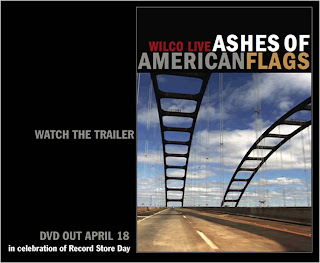 Stop what you are doing right now and head on over to Wilco World and check out the new Wilco DVD trailer. They're one of the best bands around (#2 for me) and they're incredible live. This will be a treat. If you like Wilco's studio stuff, but haven't heard them live, go over to their Roadcase to listen to a couple live streaming concerts. The Tanglewood one is especially brilliant.